We are all in love with the Bohemian vibe that is permeating Interior design and home wares at the moment. Although there is a fine line to be drawn between a bohemian paradise and a cluttered mess. Essentially this look has evolved over time, some may say its a throwback to 70's chic, those some may also say the 70's was the most important design decade with it a constant source of inspiration for fashion and interior trendsetters alike. A Bohemian is defined as socially unconventional, a hippy, avant-garde, a free spirit or an artistic person. With the groundswell of popularity for such artistic pursuits in career but also in the adoption of "hippy" fundamentals like caring about the earth and where our food comes from its no huge surprise we also starting decorating our homes this way. Isn't the irony so beautiful too? While we are so focused on screens and the latest app to streamline our busy, busy, busy lives its a gorgeous interior style to re-connect with our surroundings. Carefully curate the spaces we inhabit and select pieces that speak to you on a personal level. 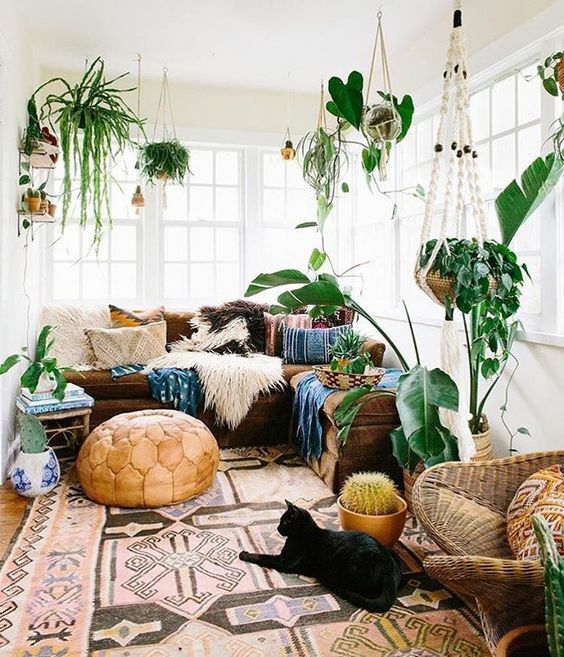 To become a interior bohemian, look at the detail and time spent to create handmade and unique pieces, proudly display books on subjects you love, burn candles that fill the room with a scent that calms and centres you, use plants in each room and get joy from their growth, layer rugs and soft furnishings because they feel amazing on your skin. The best Bohemian spaces are layered with mementos from travels, antiques passed down and garage sale scores. The NEW bohemia en-corporates all of these elements with a few sprinkles of modernity, a little metallic sparkle or some mellennial pink to keep the whole look modern and not op-shop. 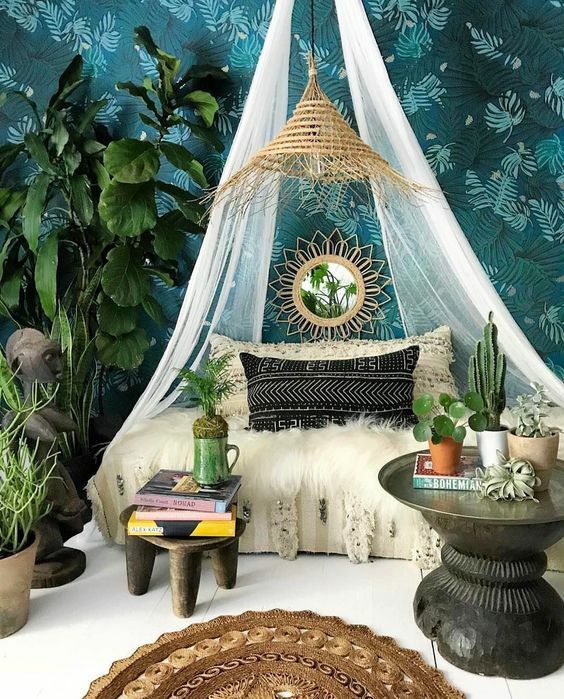 Here's our top 3 investments to create a Bohemian paradise at your place. Whether a hanging plant, a net from the roof or a macrame wall art. Hanging is a big deal for Bohemians. Something handmade, tactile and earthy feels right and is in direct opposition to the glassy, polished and mass produced artwork and decor Bohemians are against. Something about the warmth and hand feel of woven items embodies all that is attractive about the movement. Add a feature chair, hang a low woven pendant over the dining table or simply display your favourite plant in a basket. Every Bohemian paradise has a woven element and it's a winner for bang for buck too. Layers of soft pillows, blankets, floor rugs and throws create a cocoon of colour and texture that you can add to and subtract dependant on the weather or your vibe that month. Try layering up sheepskins on a more modern chair to create a softer look or draping the bed with opulent throws.